Jeffco Schools’ partnerships with multiple community organizations was a central focus of the Jeffco Schools Safety Forum held on March 20 at Lakewood High School. The safety forum, attended by approximately 400 parents, staff, law enforcement officials and community members, was the first step in opening a dialogue between the district and the community, said Superintendent Dr. Jason Glass. Forum presenters outlined safety practices and partnerships that Jeffco Schools currently uses to keep students safe, after which participants were invited to share their questions and thoughts in a small group format. John McDonald, Jeffco Schools executive director of safety and security, explained that the district’s safety program is based on partnerships: including the Jeffco District Attorney’s office, the Colorado Attorney General’s office, seven law enforcement agencies, and partnerships with nonprofit groups, mental health services, and other programs that make a difference, including Nicoletti-Flater Associates, the I Love U Guys Foundation, TI Training, and Safe2Tell. McDonald briefly outlined how Jeffco Schools partners with the above organizations, and also discussed the resources the district has on hand for doing threat assessments and responding to emergencies. Jeffco Schools has already done more than 550 threat assessments this year alone. “If somebody makes a threat, we believe the threat until proven otherwise,” McDonald explained. Threat assessment teams generally include the school principal, school resource officer, someone from the district safety and security department, a psychologist, someone from human services, a counselor, representatives from the special needs department, and someone from the district attorney’s office. Jeffco also has a 24/7 dispatch center that responds to approximately 48,000 calls per year, as well as 74 campus supervisors trained to focus on prevention and intervention, including de-escalating situations. The district also has a FEMA-trained emergency response team, as well as the Frank DeAngelis Center, a laboratory training center for active shooter situations that has hosted more than 5,000 law enforcement officers from 44 agencies since it opened last year in the former Martensen Elementary School, McDonald said. At the safety forum, McDonald also outlined three new initiatives to address the growing mental health and security needs in the district. The first new initiative is a new position — Director of Safe School Environments — which will be funded through a Jeffco Innovation Acceleration Fund grant. The goal of the new initiative is to help students transition. It will focus on students transitioning from elementary to middle school and from middle to high school. The students transitioning represent the greatest suicide and threat assessment risks, McDonald explained. Direct student engagement should improve the transition and give those students the best opportunity for success, he said. In addition, the district is partnering with the CELL Community Awareness Program to train teachers, bus drivers, and community members about threatening or concerning behaviors to watch, and with Stop the Bleed to train educators in tactical first aid. “It builds preparedness; it builds a mindset,” McDonald said. Nevertheless, Jeffco Schools also faces a number of funding challenges to improving security for 86,000 students, McDonald said. Among them: Jeffco has 4,800 classroom doors that need an interior lock rather than a door that locks from the hallway. Jeffco Schools changed approximately 1,300 of those locks this year, at a cost of $800,000. Jeffco needs another $4 million to complete the project, he said. 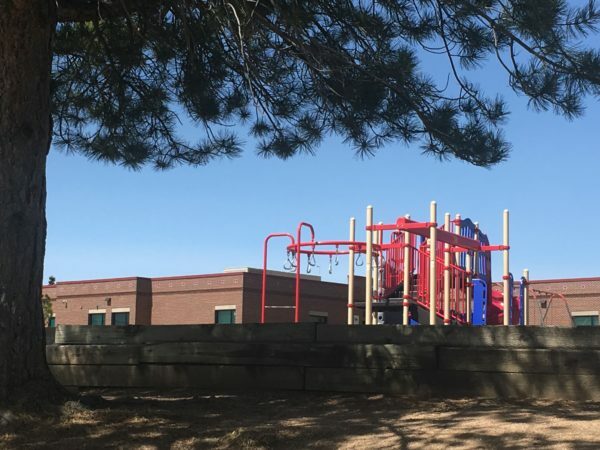 Another option, adding one mental health support person for each Jeffco School building, would cost about $13 million annually, McDonald explained. Items such as security cameras, safety window film that costs about $5 per square foot, and a more efficient district-wide emergency communication system also all have price tags. McDonald said that the forum was one of the steps the district was taking to engage the community about future plans. Safe2Tell – a statewide program established in 2004 to provide a system that allows anyone to report any concerning behavior anonymously. Nicoletti-Flater Associates, a mental health organization that consults with schools for prevention, threat assessment, ongoing consultation, and psychological recovery. I Love U Guys Foundation, founded by John Michael Keyes, whose daughter Emily was shot and killed after a man took several students hostage at Platte Canyon High School in 2006. He created the Standard Response Protocol used by Jeffco and thousands of other districts around the country. Police chiefs from Westminster, Wheat Ridge, Lakewood, Golden, Edgewater, and Arvada. After the panel discussion, attendees split into small groups, divided up by articulation areas and facilitated by district staff. The most frequently-mentioned topics in the small groups were expanding mental health services, the role of school resource officers, improved communication, and funding issues. Discussion in some small groups stressed the importance of increasing partnerships with community organizations. Others encouraged the district to provide a toolkit for parents to talk to children about these issues, and for partnering with families for prevention. The forum and panel discussion are available for viewing online at https://livestream.com/accounts/10429076/events/3542310/videos/172035701. Next, staff will collect feedback from the forum and comments received online, and include those in discussions with the new school safety task force, which will examine district security practices. According to Glass, about 100 applications were received for the task force, and staff selected 50 people. The task force will begin meeting June 4. Lisa Cook, Ph.D., is a writer, editor, musicologist and Jeffco resident since 1999 with two children attending Jeffco Schools. 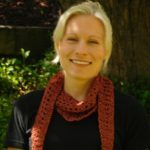 Lisa earned a BA from Valparaiso University, a Masters in Music from Colorado State University, and her Ph.D. in musicology from the University of Colorado at Boulder. When not working, she can be found running (ideally on mountain trails) with Midnight, her miniature poodle. Please visit our "About Us" page to learn more about Lisa and our other writers.